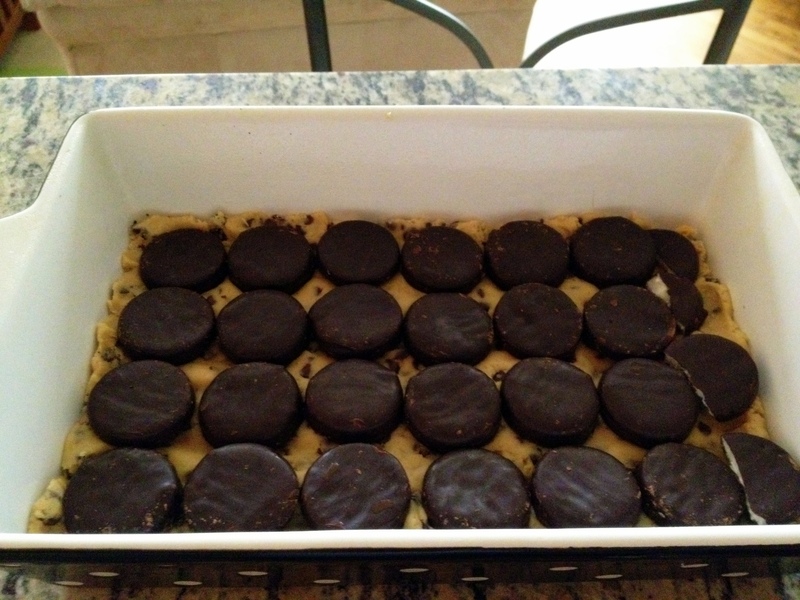 i stumbled upon Jenny’s recipe for Peppermint Patty Surprise Chocolate Chunk Bars and before i knew it, i was in the grocery store buying york peppermint patties. i LOVE york peppermint patties. when it comes to candy bars, they are relatively healthy… so i justify eating more than one. or five…. 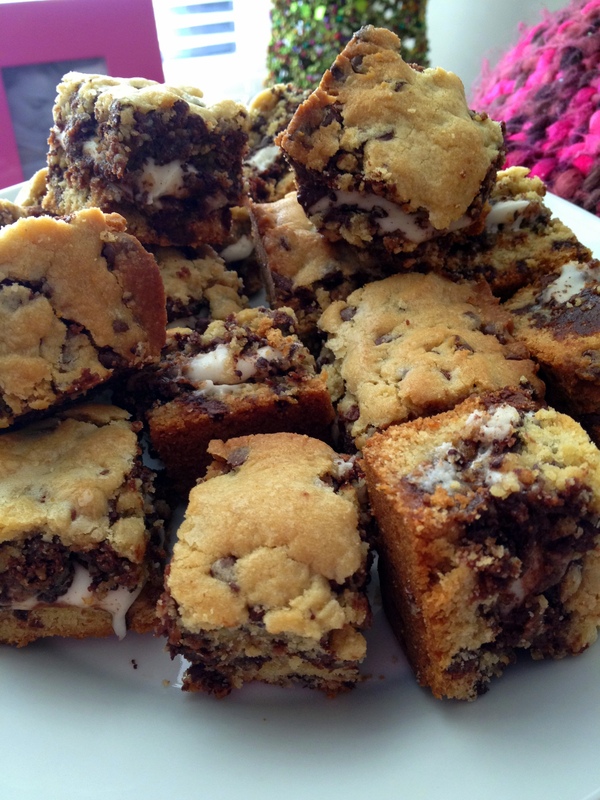 anyway, this might just be the best dessert/bar/cookie i’ve EVER made. 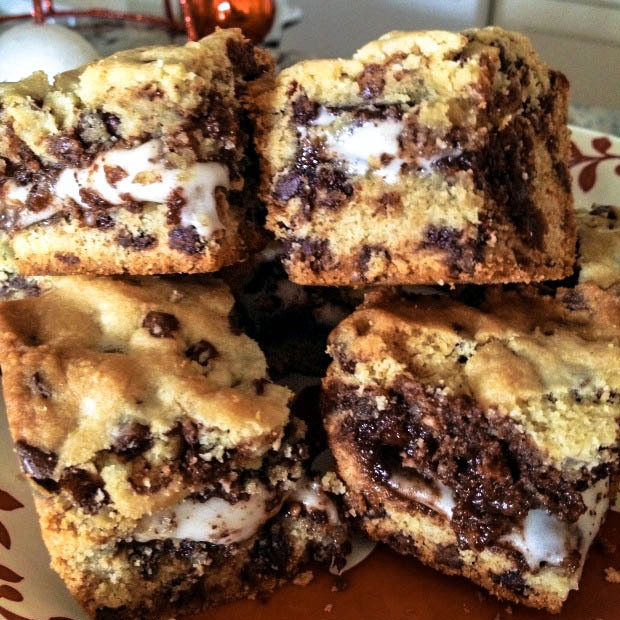 the peppermint patties melt inside the cookie bars, which i can only describe as… heavenly. these are gooey. and chewy. and perfect. i reduced the butter and sugar from jenny’s original recipe in an effort to try to keep them on the healthy side. i also used mini chocolate chips instead of chocolate chunks. 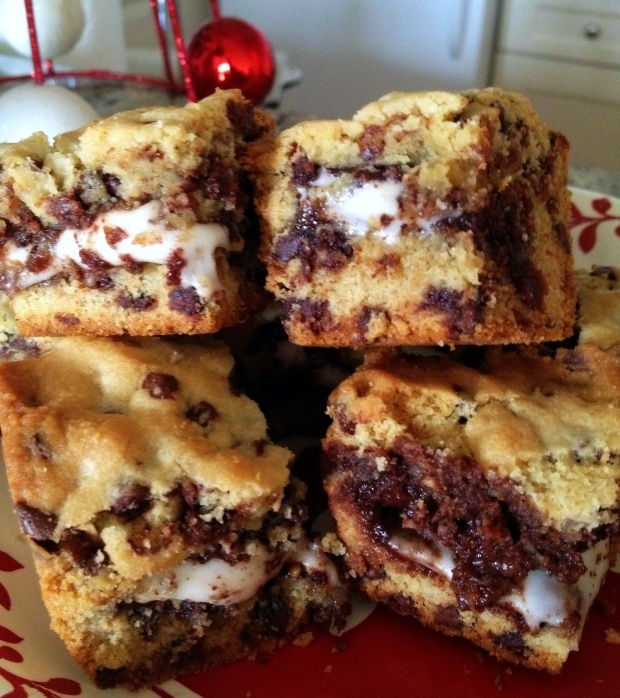 with the reduced butter and miniature chocolate chips, they still turned out incredible. bake for 38-45 minutes and allow to cool COMPLETELY before cutting into squares. i can’t stop raving about these, this is a MUST try dessert. Preheat oven to 350 degrees. Spray 9×13 baking pan with nonstick spray and set aside. In a large mixing bowl, beat butter and sugars until light and fluffy. Add eggs and vanilla, beating until well combined. In a separate bowl, mix together the flour, baking soda, and salt. Add slowly to the wet ingredients. 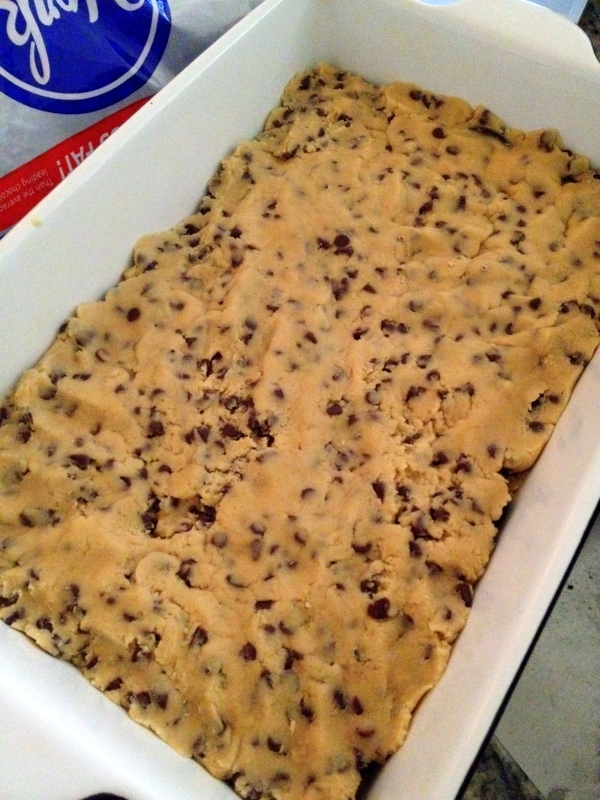 Allow the cookie bars to cool completely (about 1 hour) before cutting into squares. Enjoy! Me an my roommates are getting the ingredients tonight and we’re making it! Can’t wait to try them. This looks likes a great recipe. thank you! they are probably my favorite recipe on my blog! can you verify the baking dish size. You refernce both 9 x 13 and 8x 8 in your directions, thanks! So sorry. it is 9×13. i didn’t even notice the typo until you pointed it out. THANK YOU!